Reminder, progressive Outfits from Season 5 can be leveled up in all future seasons once you've unlocked them in the Battle Pass! That's good to know about the account linking/merging. PostRe: Fortnite Battle Royale - Season 6 starts today!! 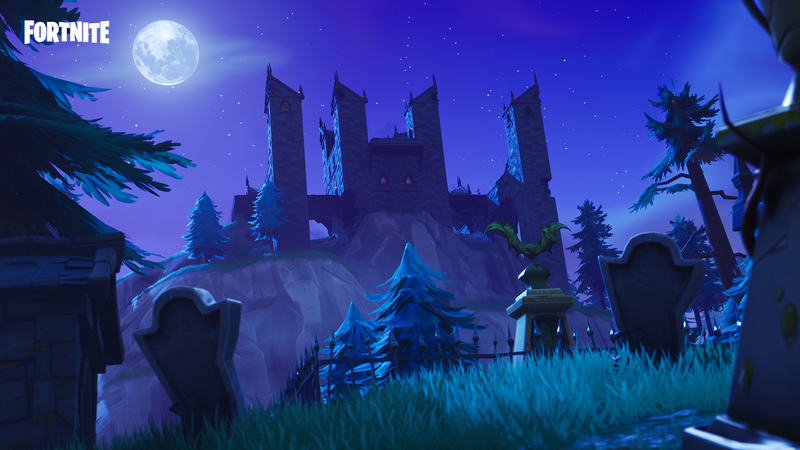 PostRe: Fortnite Battle Royale - Season 6 - Darkness Rises. v6.01 inc Chiller trap. Due to lack of interest I won't be updating the thread on a weekly basis from now on but will do so for special events such as new seasons etc. I think things have gone a bit off the boil since season 4. S5 didn’t seem to have much of an arc to it and the weekly challenges started to become a bit too much of a slog to casually do during a free morning or afternoon. Having some big hitter releases probably hasn’t helped my interest in it either. I did get the S6 season pass with V bucks earned during S5 but some shady practices from Epic has also left a bit of a sour taste in the mouth. A big event like the rocket launch or a cross over could probably get me back in (the floating islands doesn’t do anything for me really) but with a few major releases coming up this might just slip off the playlist altogether. Glider Redeploy is currently available in all game modes! Help us test this feature and fly high above the competition. Last edited by Monkey Man on Wed Oct 24, 2018 10:40 am, edited 1 time in total. 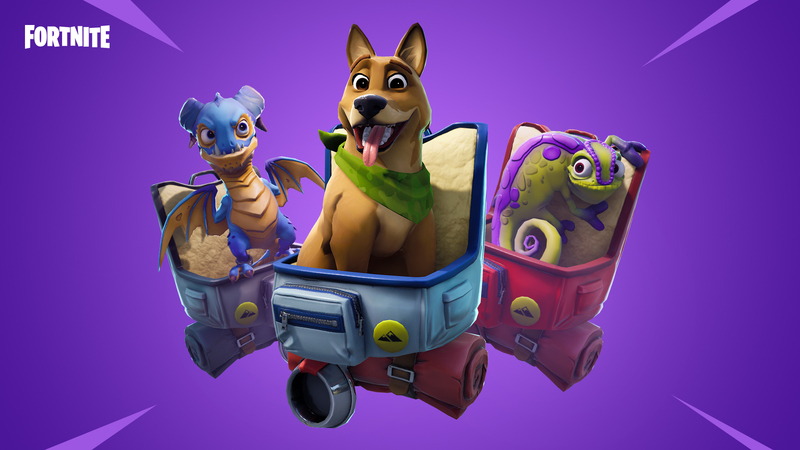 I like the sound of these AI controlled fiends being thrown into the mix and re-deployable gliders are something I've wished were active across all game modes for a while. Might check it out as soon as tonight. I don't mind the glider for jumping off a cliff but no fall damage for shooting people down and the fear of people constantly building high ramps is off-putting. Sounds like the reception has been negative to it so might not last past the week. Yeah, the re-deploy glider is fine in 50v50, just not standard. Spent a good couple of hours with 'Fornitemares' tonight. 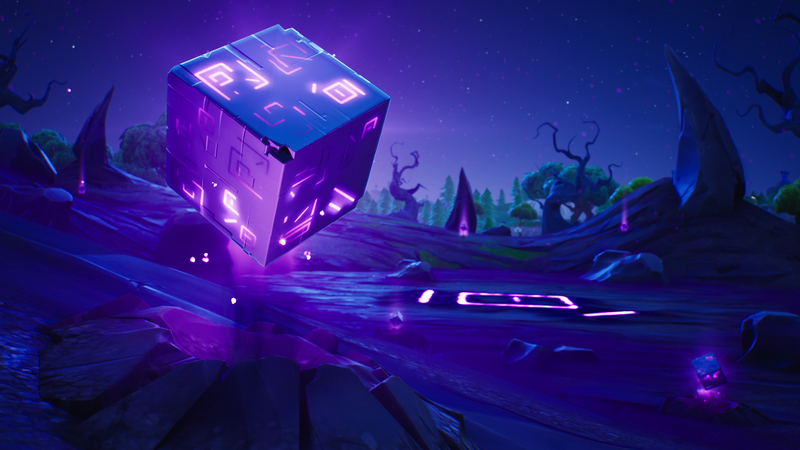 I'm mostly digging the change in atmosphere; a thin layer of fog looms over the map at all times; the battle bus, decked out in candles, sails past a full moon (at least at night) toward a much more emphasised floating island, fractured by the omnipresent purple cube. The 'cube monsters' are honestly a fun addition. They seem to spawn continuously around these purple shards and ultimately add a different dynamic to how you encounter/approach other players - I managed to get the high ground over Tilted Towers late-game and the place looked overrun by them, so I managed to pick off an individual forced to split from their squad, who were being backed into a nearby building.